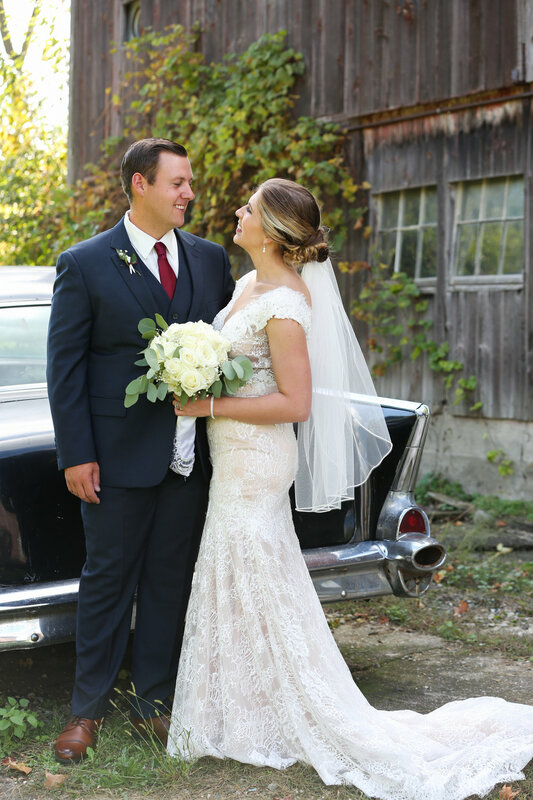 Nick and Amy's ceremony and reception was held at the Ivy Barn in Marshall, MI in October 2017. I met Amy and Nick during my studies at Ferris State University - go bulldogs! I am so thankful that they kept in touch over the years and gave me the honor of photographing their engagement session in Chicago and then their wedding in Michigan. 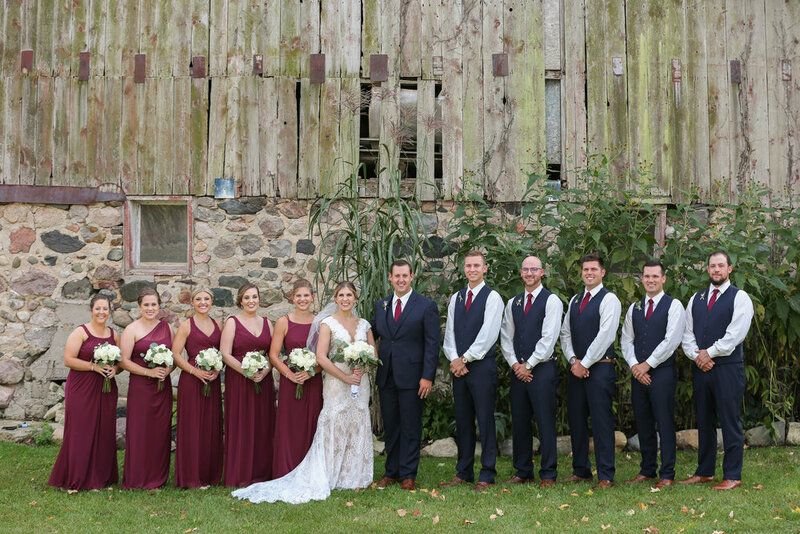 The Ivy Barn made such a beautiful setting for their day. 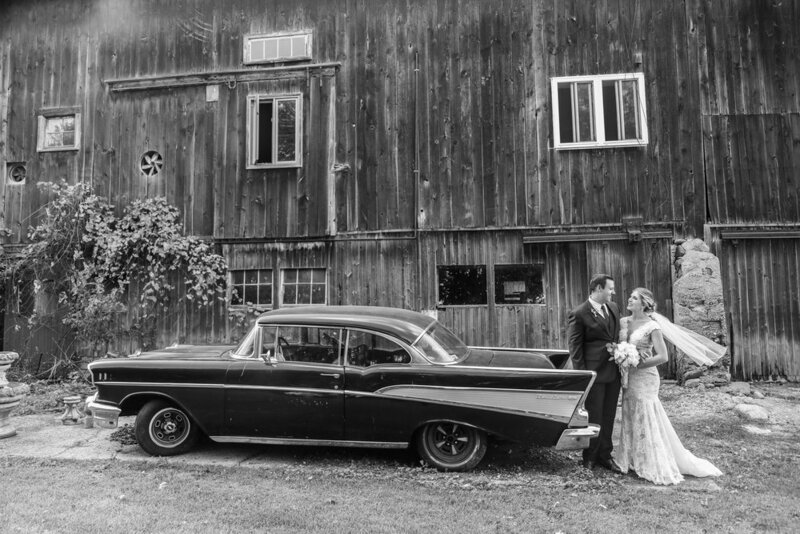 At the venue there were two classic cars present which were a lot of fun to have the couple by or as seen above - sitting in the backseat for a laugh and a moment together. Amy and Nick along with their family and friends were so easy going and light hearted. They were not only enjoyable to be around but also had a radidant nature that was transferable. I found it extremely difficult to NOT be smiling behind the camera while capturing this event.